A council which failed to prevent a fatal landslide has announced changes to avoid further tragedies. 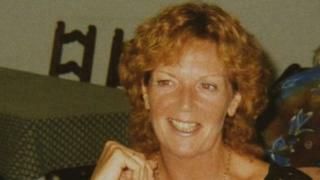 Susan Norman, 68, died when tonnes of mud and rubble engulfed her flat in Looe, Cornwall, in March 2013. An inquest jury in November 2016 concluded Cornwall Council should have known she faced "a real and immediate risk of death" and that it had not acted on warnings from residents. The council has approved changes to road management and maintenance. The inquest last year heard neighbours had told the authority about the risk of erosion and questioned the stability of the land years before the fatal accident. The jury said in its findings the landslide was caused "by a failure of Cornwall Council" to stop surface water moving on to the rear of Mrs Norman's house from a nearby road. A spokesperson from Cornwall Council said the changes approved on Thursday were in light of its "failure to consider the evidence of historic landslips and the independent report highlighting risk and to listen to complaints from local residents". The changes include new processes for inspecting walls and embankments that could affect the safety of nearby private properties and new protocols to make sure concerns raised over privately owned structures are responded to quickly. Susan Norman's family said they were unable to comment as they were currently engaged in legal action with the council.